Dr. Parveen Kumar is the ‘Staff Psychiatrist’ at the Mississippi Department of Corrections with facilities in Rankin and Leakesville, MS and is the ‘Medical Director’ at Mississippi Depression Help Center and International Center of Sleep Medicine, an AASM accredited center in Ridgeland, MS.
Dr. Parveen Kumar is a Diplomate of the American Board of Psychiatry and Neurology with dual board certifications in Psychiatry and Sleep Medicine. He currently holds active medical licenses in the states of Mississippi and Arizona. Dr. Kumar completed his early education and medical school in India. After accomplishing his M.S. degree in Orthopedics and having served as Senior Research Fellow of the Indian Council of Medical Research/Orthopedics in India, he relocated to the United States in 1991. Dr. Kumar completed his residency in Psychiatry at the University of Mississippi Medical Center, Jackson from 1993 to 1997 where he was awarded with the prestigious ‘Psychiatry Junior Resident of the Year’ award. He distinguished himself as the Chief Resident and was also awarded Research Award and the Chief Resident Award. He went on to further complete his fellowship in Sleep Disorders Medicine from UMC, Jackson in 1998. With more than 20 years of practice in psychiatry, Dr. Kumar is an experienced psychiatrist who has worked extensively in geriatric psychiatry for various nursing homes and health centers across Mississippi. He is very passionate about educating the public and physicians about psychiatry and sleep medicine. Since psychiatric and sleep disorders are inherently associated with each other, Dr. Kumar realized the importance of addressing both these problems together. In this regard, Dr. Kumar acquired additional board certification in the field of sleep medicine and now combines the expertise from these two fields to better serve his patients. At present, he is board eligible in Addiction Medicine and is working his way towards achieving his triple board certification. 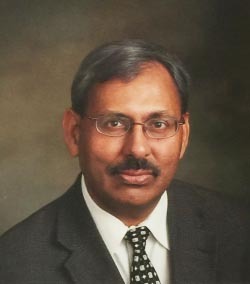 Dr. Kumar has served at Mississippi State Hospital, Whitfield, MS as Chief Psychiatrist of Male Receiving Services from 1998 to 2005. His prior associations also include Patients’ Choice Medical Center of Claiborne County, Port Gibson, MS, Greenwood Leflore Hospital, Greenwood, MS, Patients’ Choice Medical Center of Humphreys County, Belzoni, MS and King’s Daughter Hospital, Canton, MS where he has served as Medical Director of Senior Care Units of the hospitals. He has enjoyed DEA prescribing privileges since 1993 and got his DEA physician waiver for buprenorphine office based treatment for opioid dependence. Dr. Kumar is married and lives in Mississippi with his wife and three children. All three of his children are medical students at the renowned Northwestern University in Chicago, reflecting a brilliant lineage of the family. Dr. Parveen Kumar is an entrepreneur, travels extensively and owns the first and only Transcranial Magnetic Stimulation (TMS) machine in Mississippi. ©2016 Mississippi Opioid Treatment Center. All Rights Reserved.